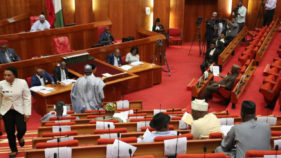 Although with some skirmishes that questioned the integrity of the process, the recent intra-party arrangement to pick candidates for the All Progressives Congress (APC) in Edo State, ahead of next month’s local council poll, showed that consensus agreement could be a better alternative to primary elections. Few days ago, the ruling All Progressives Congress (APC) in Edo State held its primary election to pick candidates for the 18 local council areas and 192 wards ahead of the March 3rd, 2018 council election. Five political parties; Progressives Peoples Alliance (PPA), Democratic Alternative (DA), Social Democratic Party (SDP), National Conscience Party (NCP) and Labour Party (LP) have indicated their readiness to contest the election with the APC but the main opposition Peoples Democratic Party (PDP) which is challenging alleged arbitrary adjustments of the election processes by the State House of Assembly in court, is boycotting the poll. Apparently learning from its 2014 experience when the primaries caused so much acrimony within the party that the then governor, Comrade Adams Oshiomhole, had to appoint many of those who lost into his administration to prevent them from defecting to opposition platforms, the party resolved to adopt the consensus option except areas where it could not be reached. Compared to 2014, the option worked apart from few council areas like Owan East, Akoko-Edo, Esan Central and Egor, which experienced some skirmishes that were later, resolved. Pundits initially predicted that picking candidates would lead to a war of supremacy between the technocrat governor, Godwin Obaseki, his Chief of Staff, Taiwo Akerele and his predecessor and leader of the party caucus, Oshiomhole and his political sons namely the Deputy Governor, Philip Shaibu and Secretary to the State Government (SSG), Osarodion Ogie. 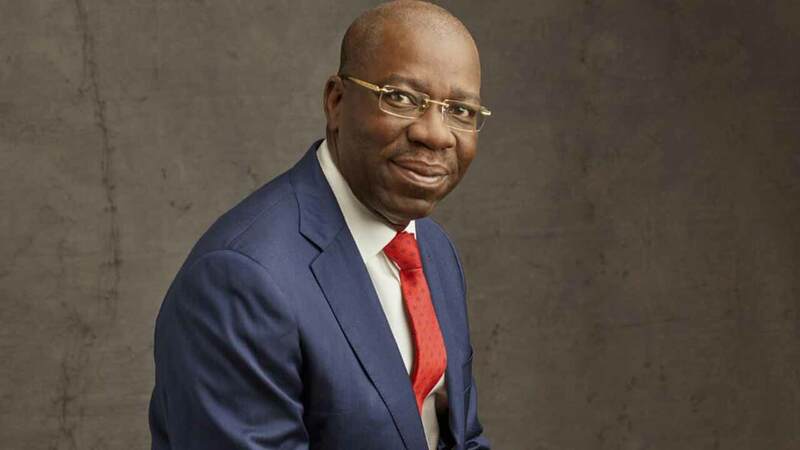 These actors can be zeroed to two groups with their supporters; Oshiomhole, Shaibu and Ogie who were in charge of the structure that brought in the government, then Obaseki and Akerele, who many believed would want to use the process to fix their candidates and begin to build their own platform. What would have caused rift between the two camps was the initial position of the governor that anybody who had held any political position at the local government should be excluded. He said he wanted a clean slate for the councils as according to him, an audit of the councils showed that some of the former leaders milked the councils and would not want any of such characters back. This unwritten guideline excluded many of the aspirants. But Oshiomhole who it was gathered, argued that the guideline would deny strong and loyal party members opportunities to serve, changed this position. He was of the opinion that if there were particular former chairmen found to have been corrupt, they should be named and then the party can exclude them rather than the blanket ban on all former office holders in the councils. This reversal changed the entire equation and brought renewed vigour into the race. And rather than this dividing the leadership, the outcome of the primaries seems to have further cemented the relationship between the two camps as there was amicable resolution of the differences in the council areas. In the seven councils that make up Edo South, candidates emerged through consensus but there were resistance in Egor where daughter of former governor of old Midwest State, Eghe Ogbemudia, was the choice of the leaders. There was drama when one of the aspirants, Efe Stewart, claimed that he was not aware of any consensus arrangement and insisted that there should be election. He was accused of invading the venue with suspected and allegedly armed thugs and was taken away by security agents. Although he denied the allegation, he spent eight days in detention before he was released early last week. In Akoko-Edo, it was a battle of ego and sentiment between the leaders of the party over who to choose between two major contenders; Fatai Maliki and Barrister Tajudeen Alhade. Both of them are from Ward 2 and the leadership of the party had zoned the chairmanship position to either Ward 2 or 8. Alhade was said to be already cruising home to victory with most of the leaders endorsing him until the unwritten guideline was reversed and that brought back Maliki who was said to be the first choice of some of the leaders like the COS into the race. Consequently, a new round of endorsement for Maliki by another set of leaders, created a sharp split between them with the Speaker of the House of Assembly, Kabiru Adjoto and Senator Domingo Obende insisting that the process had already produced Alhade while Akerele and the member representing the area in the House of Representatives, Peter Akpatason, who is seeking a third term and Emmanuel Agbaje, the member representing Akoko-Edo II in the State Assembly, rooted for Maliki. This led to series of meetings with the governor and Oshiomhole but both sides would not shift their grounds and eventually, a compromise candidate in Don Umoru from ward 8m was produced. Supporters of Alhade argued that Akerele betrayed him after having signed documents supporting him only to renege on the basis of sentiments. But Akerele’s supporters insisted that Maliki was his first choice and only shifted his support to Alhade when the unwritten guideline ruled out Maliki who was a former councilor in the council and then reverted his support when the unwritten guideline was struck out. In Owan East, there was parallel congress and it was a clear case of attempts to wrest the council from the Deputy Chief Whip of the House of Representatives, Pally Iriase. While the party executives from 10 of the 11 Wards gathered at the Afuze sports ground waiting for the officials, members of the remaining ward, led by Abdulganiu Lawani, relocated to Warake, a suburb of the local council and conducted another primary election allegedly under the supervision of the Deputy Governor. When contacted, Lawani told The Guardian that he and his supporters were the new set of leaders in the council and that Iriase and his team, who have been in charge since 1999, have always been producing the leadership to the detriment of others. But the party leaders insisted that the only recognized election was the one conducted in Afuze, headquarters of the council where Victor Ohiosumuan emerged and that the one presided over by Shaibu at Warrake which produced Andrew Osigbe was a nullity. As the parallel primary was going on at Warrake, the two other members of the panel to conduct the election, Pastor Isigbe Kadiri and Yakubu Jarafu, Iriase, and former Majority Leader of Edo Assembly, Folly Ogedengbe, who is a member representing Owan East Constituency, and other top party leaders from the council were sitting patiently waiting for the leader of the panel, Emmanuel Agbale to no avail. Organizing Secretary of the party in the council, Fred Uanzekin, said they were surprised that the Deputy-Governor could hijack Agbale who was assigned to conduct the primaries in Afuze. He said party executives from 10 wards gathered at the venue for Agbale for over 10 hours before they heard that a kangaroo primary had been conducted in Warrake. The following day, party leaders from the area staged a protest to the party secretariat in Benin accusing Shaibu of hijacking the primaries. The council APC chairman, Roland Edeki however stated “the said Andrew Osigwe has no result from his polling unit in the last governorship election which is in contrast with the guideline in eligibility for the LGA election. “Again, the LGA caucus has earlier zoned the chairmanship to Ward 03 which has never produced the chairman before and Andrew is from Ward 04. More so, at Afuze mini stadium 10 out of the 11 wards that made up of the council were present. Only Warrake ward 11 was absent for a reason best known to them. Edo APC chairman, Anslem Ojezua said the party was still receiving reports from council areas and had gotten several complaints bordering on the conduct of the primary election. Shaibu’s Chief Press Secretary, Musa Ebomhena, however absolved his principal of any complicity in the alleged hijack of the primary saying the exercise was held at the approved venue. 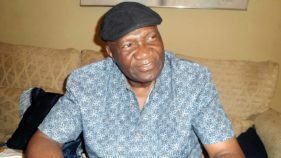 In other areas, chairman of the Edo Football Association, Frank Illaboya was elected the party’s candidate for Owan West in a unanimous decision and in Oredo, which is Obaseki’s home council, Jenkinns Osunde emerged chairmanship candidate after the governor’s younger brother, Dr Tom Obaseki withdrew from the race to obey the directive of the leaders. 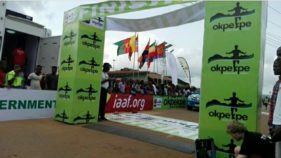 Ikpoba Okha, where Ogie is the leader, a lecturer, Dr Eric Iyobosa Osayande emerged as candidate while an activist, Destiny Enabulele emerged as chairmanship candidate in Ovia South West. In Orhiomwon home council of Pius Odubu, former Deputy Governor, Sylvester Okoro picked the ticket as the process produced Musa Yakubu in Etsako West. For Igueben, Josie Ogedegbe emerged and through affirmation, Patience Oboh was elected Vice Chairmanship candidate.